Well, it is another debate, so let’s move on to the 3 paid but helpful apps used for Instagram. Obviously, you cannot stick to the typical filters and tools available on Instagram. To make your posts stand out from the rest, you need to pay for it. With more than 800 million active users on Instagram, no one can stay at the top without putting efforts. In this case, you need to have some apps that can help you out in growing your followers and business as well. Although there are filters and tools available in the app, still it lacks to fulfill the needs and requirements of the users. To gain the attention of the users and to become prominent, you have to inject your Instagram with some more apps. Well, plenty of the apps and tools available in the market to assist you in this regard, but here I am going to explain some of the paid Instagram apps that will help you to make your posts remarkable. You can edit your Instagram photos, get more followers, grab likes, and examine your performance with the help of these tools and apps. Sometimes you need to download Instagram photos or videos just for the sake of amusement or fun. So in this case you need an Instagram video downloader to save your desired photos or videos in your gallery. Well, it is another debate, so let’s move on to the paid but helpful apps used for Instagram. Plenty of filters already available on the Instagram app, but there’s always something missing. To make your photos look more proficient, you can try out different photo editing apps. These apps will make you able to have wider filter selections or removing blemishes. More than 100 filters, available in the Prime app that is collaborated with trained photographers. Prime has Smart Suggestions, in the case you need to have filters that look best. 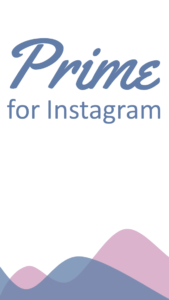 Prime app is available at $2.99 and iPhone users are lucky to use this app to make their posts wonderful. No doubt that you need to make your posts look more and more attractive every time a user sees it. Prime app assists you in this regard and you can definitely grow the beauty of your posts. To know about your analytics, you need some apps that make your work more simpler and easier. Hootsuite Analytics provide you metrics as well as insights, which give you the right direction according to the current state of your account. Hootsuite Analytics provide metrics that include the traffic and growth of audience. Along with metrics, insights include how people react to the posts regarding language, gender, and kind of action that users are taking. With the help of this app, you can also customize the insights that you have gathered. Specifically, it is useful when you are checking engagement factors, which are exclusive and gathering particular data. Hootsuite Analytics offer 30-day free trial, but you can avail professional version is $30 per month. This app is available for Android and iOS users. So get ready to know the analytics of your account. With the help of this app, you can even analyze the community and the competition as well. While other tools can focus only on your business, whereas, Iconosquare helps you out in examining the whole community by means of classifying the major influencers of the Instagram industry. Hence, it is a great tool for the purpose of analytics, when you are concerned about engaging with the influencers to support your brand, but you are not sure how to find them. So, in that case, Iconosquare helps you out even when you are just a starter of your Instagram strategy. In addition, it also helps you when you want to see other brand activities for inspiring the audience. You will also get engagement analytics as well with the help of Iconosquare app, further, it offers hashtags growth analyses as well as popularity. Iconosquare provides a 30-day free trial but for the professional version, you can get this app is $30 per month package. Just like Android users, iOS users also capable to use this app. To promote your posts on the Instagram account, lots of factors matter. Making your photo posts more attractive, having accurate information about the analytics of your posts and account as well. So, there’re no limiting factors to judge any post. You can use these apps to improve the engagement and growth of your account on Instagram.